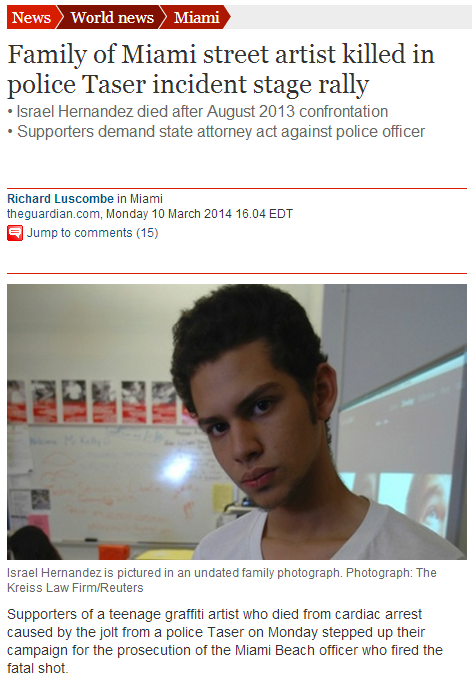 A medical examiner rules that an unarmed Florida teenager’s death was caused by the jolt from a police Taser, reigniting the debate over whether the use of force was justified. Rich golfers with a taste for danger are being offered day trips to Afghanistan to play “the world’s most intimidating round of golf”. They will be accompanied by armed bodyguards and a decommissioned Soviet helicopter as a getaway vehicle. Players looking for lush fairways and manicured greens may not wish to apply. However, for clients of the Miami-based Cavalry and Company, a travel agency founded by a former US Army intelligence agent, the $80,000 (£48,000) jaunt to the Kabul Golf Club will at least buy bragging rights. 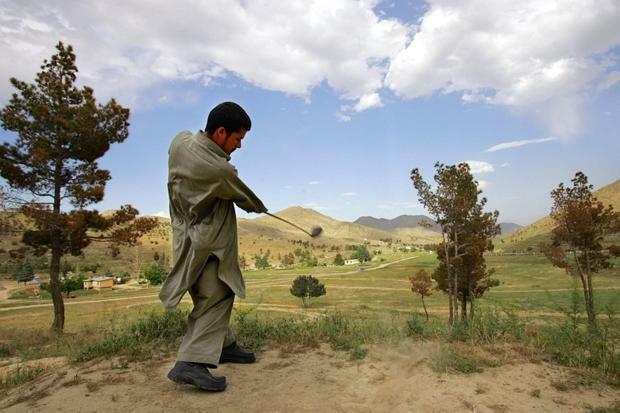 In its heyday, it was a hangout for Afghanistan’s royalty, but the 103-year-old club is now billed as “the world’s toughest and most dangerous place to make a teetime”, after being ravaged by three decades of conflict. The club’s manager, Mohammad Afzal Abdul, has continued to defy the risks since reopening in 2004. He says money from tourists will help to irrigate and landscape the dustbowl course. Tourists will play golf in Dubai for four to five days, then fly to Kabul by private jet, where they will be picked up by an Mi8 helicopter and flown to the golf club on the outskirts of the city.